A proposal from the prime minister's office to allocate cadre of civil servants after taking into account their performances in the Foundation Course has raised several eyebrows.Experts believe that the ill-conceived decision-in-the-making will have an adverse impact on the overall morale of the civil servants. There is a consensus among scholars and public administration professionals that the Indian Civil Services in the state and union governments need an urgent overhaul. Hundreds of committees and commissions have addressed the issues in the past and made considered recommendations, which have generally been overlooked by successive governments. The feeling is that politicians, and even bureaucrats, are not interested in such administrative reforms. On May 17, various ministries and departments were asked by Department of Personnel and Training (DoPT) to examine "if service allocation or cadre allocation to probationers selected on the basis of Civil Services examination be made after the Foundation Course. Examine the feasibility of giving due weightage to the performance in the Foundation Course and making service allocation as well as cadre allocation based on the combines (sic) score." Instead of getting it examined by domain experts, the matter has been referred to all the departments. The rationale is difficult to fathom. And to make it even more intriguing, it has been done in a very cryptic manner, without even mentioning the context, as if it was a routine matter of little significance. In my view, at least a short explanatory note on the subject should have been provided elucidating the present position with possible ramifications.I believe that Civil Service reforms are not synonymous with sprucing up civil servants. That's the least part of it. Civil Service reforms should be seen as an integral component of administrative reforms and not isolated from them. It should also not be forgotten that good politics is essential for good governance. Now, let us assume that the present political executive unreservedly wants to initiate steps for good governance. The first priority then for effective reforms should be to ensure that the institutions deliver public goods to the citizens, rather than to tinker with the recruitment process of the primary delivery agents of public goods. Another hypothesis of administrative reforms, according to us, is the emphasis on reforms on the demand side. It has been the practice of most political leaders to decide on reforms with a notion of being a guardian. It pre-supposes that the people in government are the best judge of the needs of the people. The concerns and aspirations of the people are of no consequence, because it is presumed that the people do not know what is good for them. Ideally, good administrative decisions should evolve through a process of negotiation between the state and the recipients of reforms. The wishes of the people could be ascertained through organised groups in the society.Most reforms in government fail. They fail not because once implemented, they yield unsatisfactory outcomes, but because, they never get past the implementation stage. Sometimes they fail because the wishes of the people have not been taken into consideration. What should be the approach to reforms often is more important than the content of the reform. Successful reforms require a combination of political commitment, technical capacity and gradual implementation, aided by high dedication of the civil servants. For introducing any change in civil servants, their commitment is essential. The proposal to change the rules for allocating services and cadres appears to be too trivial and a knee-jerk response.Curiously, the reaction of the main opposition party came in great haste, accusing the government of tampering with the UPSC structure in order to appoint officers of choice from the RSS in central services. There couldn't have been a more absurd criticism of a plain legitimate statement. Others too joined the chorus. They called it a "dangerous move by the PMO" which "must be nipped in the bud". 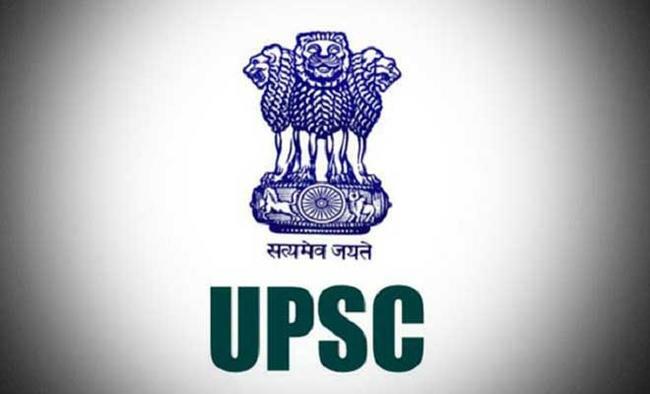 As it is, the relative ranking, and therefore inter-se seniority, of those selected through UPSC examination for a particular all India service (say IAS) undergoes minor changes on account of the assessment in the Foundation Course. Even the first position in the IAS has occasionally altered. Extending the argument further, to determine the cadre within a particular service on the basis of final grading seems feasible, if not desirable. However, the service allotment in an analogous manner appears completely untenable. Different training institutions with diverse methods of assessment, risk of favouritism and eclectic groups of probationers are likely to generate avoidable antagonism among them when we need intellectually intense and effective civil servants in every service. Besides, just think about the persons who having qualified through the most rigorous examination system is demoted to a lower position after the Foundation Course. Some see this proposal as another measure for demoralising civil servants. They ask whether enough had not already been done in successive governments. Finally, we should ask the DoPT to answers the following questions: A. Why is their an urgency to tinker with an established system without considering numerous recommendations of hundreds of committees and commissions? B. Is it likely to result in better selection for services? C. Is it part of a larger reform package or an isolated idea? D. Did any research paper produced by a think-tank associated with the ruling party form the basis of the present idea? and E. Has the idea been considered in the past and rejected? The difficulty with a proposal of reforms is that people do not appreciate that the problem is not to demonstrate whether it's possible or not but whether it's going to work.